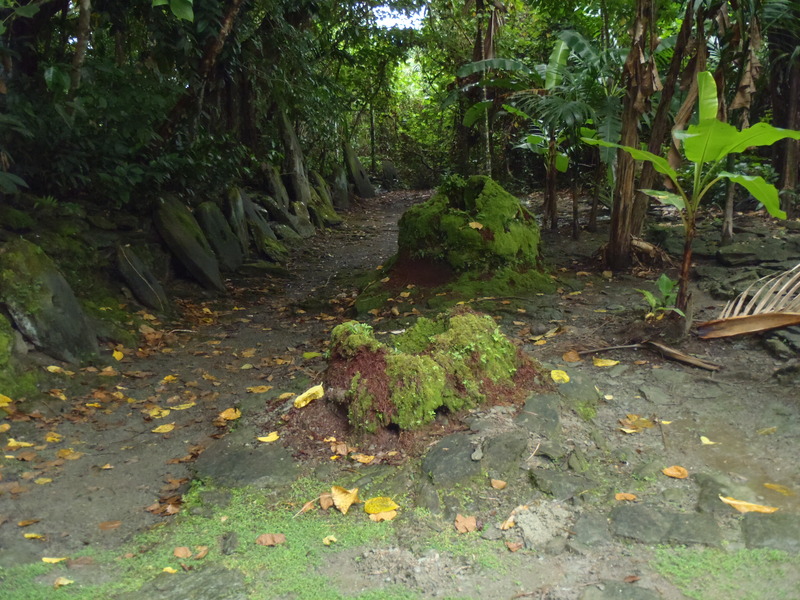 Legend has it that prior to a great flood over 2,000 years ago, five supernatural beings or spirits “surfaced” from a water well in the Ngolog Village on Yap. These five spirits became the first inhabitants of Yap. One day the spirit named Gusney left his companions on a journey to find new lands. He sailed in a canoe using only his hands, the wind and the currents of the ocean. After many months, Gusney came upon a human family from Indonesia. He sent them to Yap to let the other spirits know of his whereabouts. That human family made Yap their home with the other spirits on island. These were the ancestors of the Yapese people. Yap State is one of the four states in the Federated States of Micronesia. Yap State includes the main island of Yap (Wa’ab or Yap Proper), which is actually the 4 tightly cluster islands of Marbaaq, Gagil-Tomil, Maap, and Rumung. Yap State also includes 12 atolls and 4 small islands — Nguluw, Sorol (uninhabited), Ulithi, Fais, Eauripik, Ifalik, Faraulep, Woleai, Lamotrek, Elato, Lamolior (uninhabited), Olimarao (uninhabited), Gaferut (uninhabited), Pikelot (uninhabited), West Fayu (uninhabited), and Satawal. About 35% of Yap State’s population lives in the outer islands. In general, FSM has two seasons — a dry season from November to April and a wet season from May to October. The region sees very little seasonal variation in temperature, with only a 3oF difference between the average hottest and coolest months. Rainy season in FSM is from May to November and dry season is from December to April. Yap is the driest island, with only about 120 inches of rain per year. As of 2013, the Yap State Department of Education oversees 60 schools (25 ECE, 29 elementary, 5 high, 1 all grade) with 303 teachers and 2,736 students (1,940 elementary, 796 high). The College of Micronesia serves about 3,000 students and offers associate degrees and certificates in health careers, liberal arts, teacher preparation, technology, nursing, marine science, business, agriculture, criminal justice, culture, and trades. COM also offers a Bachelor’s degree in Elementary Education. COM’s main campus is located in Palikir. It also has 4 state campuses and a FSM Fisheries and Maritime Institute in Yap and a Cooperative Extension Service in Pohnpei. COM Yap Campus offers associate degrees in elementary education, as well as certificates in liberal arts, health sciences, early childhood education, and trades.